Best Little Bookshop, an international online boutique bookseller founded by former Book Depository managing director Kieron Smith, has launched in beta form. The Bookseller reported that the retailer "will sell books to 100 countries, in 19 currencies with the website available in five languages." Smith said the site was designed to "add a human touch to book buying that is sorely missing online." Booksellers and publishers from around the world will also soon "be able to sell titles direct to consumers through the website, which Smith hopes will greatly add to the diversity and range of books consumers can discover," the Bookseller noted. Before its official launch, Best Little Bookshop plans to work on the interface for third party booksellers to list their stock on the site and "dramatically increase" the range of books offered. "We will sell books from all over the world, and we are hoping to put books in front of people they have never seen before," he said. "We are price competitive, but we don't want to drive the value out of the product at the same time--we don't want to encourage a race to the bottom..... We believe there is room for a different sort of bookshop online and hope that with our first tentative step in this direction, people will see how we can add value through our bookselling expertise, showcase interesting titles and delight customers with our offer." Will he or won’t he? President Obama arrived on Martha's Vineyard for his vacation Saturday. The big question now is: Will he do some indie bookstore shopping this year? Last summer, the president did not make a book run to Bunch of Grapes Bookstore or Edgartown Books for the first time in several years. His appearance at an Amazon warehouse just weeks before was cited by the media as one possible reason for the decision. If the First Family is going to have a bookstore outing this vacation, it may not be today, since Hillary Clinton is signing her book Hard Choices at Bunch of Grapes. 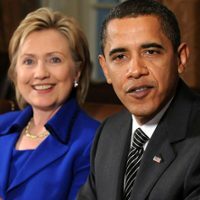 The Washington Post noted that the "presence of both the sitting president and his former political rival-turned-secretary of state-turned-possible 2016 candidate is sparking interest, intrigue and largely hypothetical questions about whether it would be cooler to catch a glimpse of the sitting president or get a book signed by someone who might one day succeed him." They will both be attending the same party tonight, the Associated Press reported. Although Clinton has been recently "voicing some differences" regarding the president's foreign policy, a spokesman for the former secretary of state said that "like any two friends who have to deal with the public eye, she looks forward to hugging it out when they see each other." 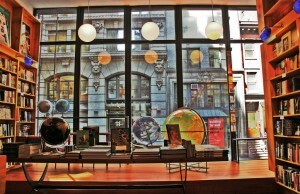 In 2008, David Del Vecchio opened the first Idlewild Books, a 1,100-square-foot bookstore specializing in travel books and international literature located in the Flatiron District of Manhattan. Before then, he had spent 10 years at the United Nations as a press officer for humanitarian affairs. 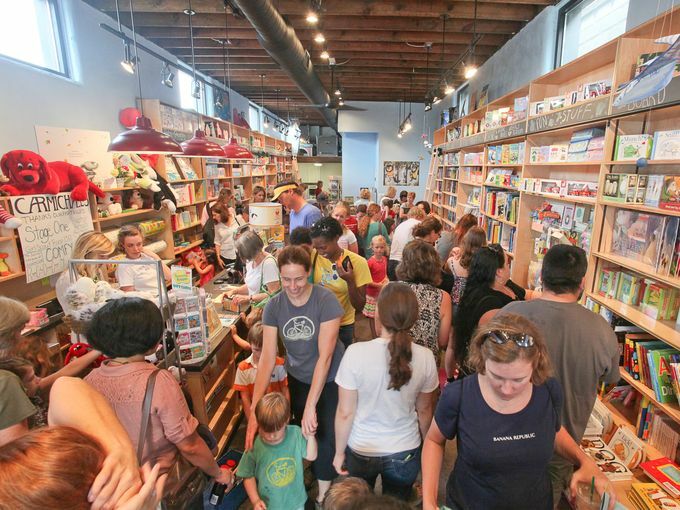 "Initially the store was devoted just to international literature and travel," Del Vecchio said. "I was looking to do something different, to get out of the U.N., so it was a way to combine those interests." At the store, books are organized by country and geographic region, with fiction and nonfiction titles alongside conventional guidebooks. He continued: "There were always places to find travel books, but it was difficult to find literature related to Nepal or Indonesia or France, unless you had done research before you went to a bookstore, because everything was just A-Z." For a time, Idlewild was a conventional bookstore--author signings and book launches were common, and there were event series on literature in translation as well as humanitarian efforts around the world. In part because it seemed print travel guides "might not have an endless future," as Del Vecchio put it, he sought to shore up the store's business in 2010 by experimenting with language classes. "It was something we thought we'd offer on a smaller level, as an activity or event like any other," said Del Vecchio. The classes, though, proved tremendously and surprisingly popular. "They exploded." Customers started calling the store and requesting classes in more languages and for different levels of fluency. Subsequently, Del Vecchio began scaling up Idlewild's offerings. 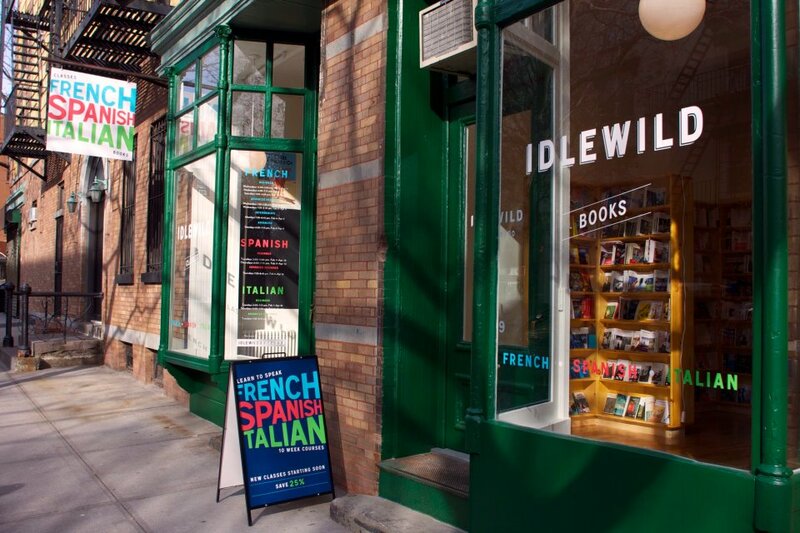 In Idlewild's first two years, Del Vecchio and his staff were putting on three or four traditional bookstore events per week; it was not long until the only events they hosted of any sort were classes, and today Idlewild Books runs French, Spanish, Italian and Arabic classes for speakers of varying skill levels (and, come this fall, there will also be classes in German and Brazilian Portuguese). Classes are held throughout the week, with evening and afternoon sessions available. Courses run for eight weeks and are capped at 14 students, with the average attendance 12. Evening classes are $295 for eight weeks, while daytime classes range from $210-$225. All of Idlewild's teachers are native speakers with considerable experience teaching Americans. "I think we were surprised by the response just because it's New York City, and we thought there were already a lot of places to learn languages," Del Vecchio said. "But I think people were excited about the idea of taking a class in a bookstore, in a non-formal atmosphere. It didn't feel like a school. And that the teachers are from those countries lends the classes a culturally authentic feel." Around the same time that Idlewild started offering classes, Del Vecchio began stocking foreign-language books. "Being a bookstore with an international focus, we always had requests for books in foreign languages," he said. The Manhattan store now carries a modest selection of foreign literature in French, Spanish and Italian, as well as a smattering of children's books in Mandarin Chinese. Despite the relatively small size of the selection, Del Vecchio called it a "vital part of the business now." In 2012, Del Vecchio opened a second Idlewild store in Cobble Hill, Brooklyn. Almost exactly half the size of the Manhattan store, the Cobble Hill location is something of a satellite operation: it hosts language classes and carries foreign-language books, but does not stock travel guides or literature. And in the beginning of 2014, Del Vecchio opened a third store, this one in Williamsburg, Brooklyn. It is the same size as the original Manhattan store, and hosts language classes and sells foreign-language books as well. Unlike the other Idlewild stores, it also carries artwork related to various countries, such as screenprints of the French alphabet, prints from classic foreign-language books and framed old maps, mostly in the $35-$60 range. "We opened those two locations just because the classes here were all selling out," recalled Del Vecchio. "As people were registering, we would ask them for their ZIP code and we realized that a lot of people were coming from Cobble Hill and Williamsburg." Cobble Hill, Del Vecchio continued, is a much more "neighborhood-y" area than either Williamsburg or Manhattan. The store there has less traffic during the week than the other two and is much more focused on the language classes. Opening that store, Del Vecchio said, felt a bit like a side project; the third store, though, has become something of its own animal. The decision to sell artwork at the Williamsburg store, he explained, stemmed from a few different impulses. "We did it partly because we thought it would be fun to do," said Del Vecchio. "We've never really carried merchandise before; this was a way to play with that and be true to the themes and spirit of the store. Williamsburg is also a pretty young neighborhood: we weren't sure that selling only books was going to draw people. And we figured there are probably a lot of people who are moving in with a lot of blank walls and looking for affordable artwork." In September, Pacific University's bookstore in Forest Grove, Ore., will move back on campus after six years on Pacific Avenue, the Oregonian reported. The store's smaller 3,000-square-foot site is in the renovated University Center building, which also includes the main dining room. Operated by Barnes & Noble, the store had been in the University Center originally, and moved to its 5,000-square-foot Pacific Avenue location because it outgrew its old space. But because "more students use e-readers" now, the store doesn't need as much room for textbooks. 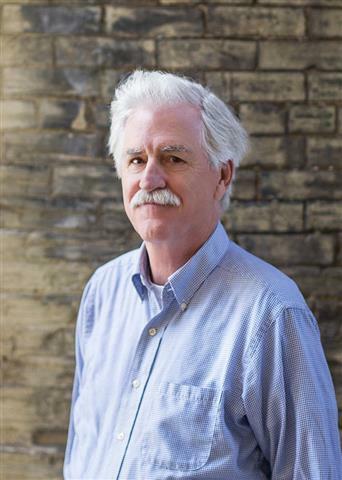 Business book retailer 800-CEO-READ has created a new prize to honor the company's recently retired founder and president for his contributions to business book publishing. The annual Jack Covert Award "will recognize one individual in the industry who has made a significant and positive impact over the past 20 years." In addition, submissions are now open for the company's annual 800-CEO-READ Business Book Awards, which recognize books and authors "with the greatest potential to promote change and enlighten the way people think about business and work." Winners, which are chosen by the company's editorial staff and presented in eight categories as well as the Best Business Book of 2014, will be announced in New York City next January. On September 18, e-book and audiobook distributor OverDrive will launch Read an E-book Day, which the company describes as "a celebration of modern storytelling. Be a part of the festivities by checking your favorite e-book out from the library, sharing your reading stories, entering to win prizes or just simply setting aside some time to read. Celebrate with your fellow readers." Good E-Reader was skeptical: "Overdrive is trying to start a holiday that basically shills their own products and services and makes no mention of Amazon, Kobo, B&N or competitors such as Axis 360 or 3M Cloud Library. They should have called it 'Read an Overdrive E-book day.' "
The Digital Reader's reaction was more supportive of the "day which OverDrive hopes will become an annual holiday to celebrate and raise awareness for reading on tablets, smartphone, and e-book readers.... Do you have any plans to celebrate the day? Given my day job it will simply be another Thursday for me, but I think I might make an exception and help out at my local library (assuming they plan to schedule as event)." This past weekend, Carmichael's Bookstore celebrated the grand opening of its third Louisville, Ky., store, Carmichael's Kids. The all-day event featured performances by the Stage One theater group and the River City Drum Corps., a parade with the Pokey Little Puppy and, of course, a ribbon-cutting ceremony. Carmichael's Kids stocks books, toys and games, and other sidelines for children from birth to middle grade. YA/teen books remain across the street at Carmichael's first store. The BOOK/PLATE Series is a new collaboration between Peck's Specialty Foods and Greenlight Bookstore, Brooklyn, "pairing an excellent writer with inspired, original cuisine in an intimate setting." On August 28, the BOOK/PLATE event will celebrate publication of Francisco Goldman's The Interior Circuit with "a family-style dinner crafted by the chefs at Peck's." Following the meal, Goldman will "give a reading, chat amiably and sign complimentary books for diners." 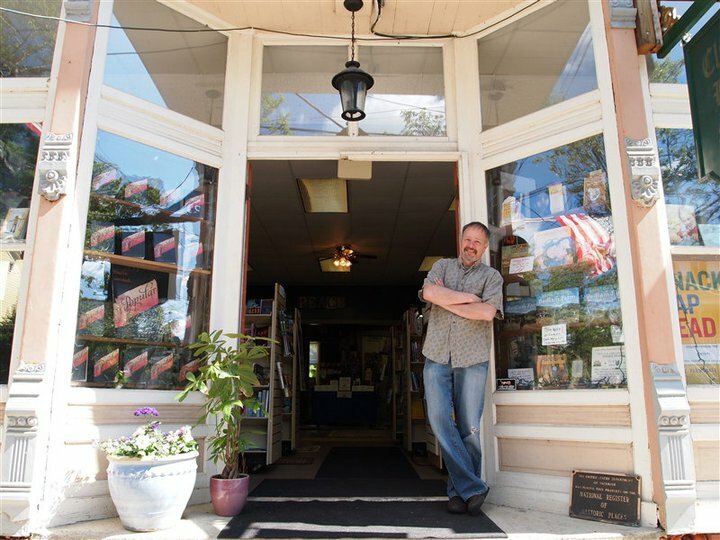 Clinton Book Shop, Clinton, N.J., "is a little different than what readers may be accustomed to these days," the Hunterdon Review noted in its profile of the indie bookstore's owner Harvey Finkel, who "has had to create a slightly different business model to compete with large box stores and the Internet." "Years ago we used to sell some of the top authors, like James Patterson," he said. "We could sell his hardcover when it first came out--15, 18, 20 copies in two weeks. Now we can't do that. It's on the New York Times list and a lot of that stuff is picked up at Amazon. They sell them at 50% off." For Finkel and his staff, the "job is to find those other gems, those literary gems that we can introduce people to. We have a great group of customers that look for something beyond just the top 20 stuff, and we're good at that and that's what we do. And that's what we like doing." Being a bookstore owner has "got its ups and it's got its downs just like everything else," he said. "I love being here, I love having our business, I especially love the industry and especially love the people we meet--our fascinating customers and fascinating people in the industry." Ingram Publisher Services will sell and distribute RosettaBooks's printed books worldwide. Founded in 2001, RosettaBooks primarily publishes fiction and nonfiction original short e-book lines and original digital-only titles. It will publish some 15 printed books in 2014-2015; its first frontlist printed book is Moonshot! : Game-Changing Strategies to Build Billion Dollar Businesses by John Sculley, former CEO of Pepsi and Apple, available October 13. "We look forward to highly promoted frontlist titles broadly distributed in print as a result of our collaboration with Ingram Publisher Services," Arthur Klebanoff, CEO of RosettaBooks, said. Fives and Twenty-Fives by Michael Pitre (Bloomsbury USA), a debut novel set during the Iraq War. Tomorrow on Fox's the Real Story with Gretchen Carlson: Marybeth Hicks, author of Teachable Moments: Using Everyday Encounters with Media and Culture to Instill Conscience, Character, and Faith (Howard Books, $24, 9781476757438). Tomorrow on KCRW's Bookworm: part two of a two-part interview with William T. Vollmann, author of Last Stories and Other Stories (Viking, $36, 9780670015979). As the show put it: "William T. Vollmann is a literary chameleon; prior to Last Stories and Other Stories, he produced an array of nonfiction works: including a collection of transgender self-portraits and a deeply researched study of the Imperial Valley. It is as if he adopts an identity to match each project: in turns journalist, adventure seeker, and fiction writer. Who is William T. Vollmann? And where does he feel his life's work is going?" Tomorrow on NPR's Diane Rehm Show: Hampton Sides, author of In the Kingdom of Ice: The Grand and Terrible Polar Voyage of the USS Jeannette (Doubleday, $28.95, 9780385535373). The first trailer has been released for Mortdecai, based on Kyril Bonfiglioli's The Mortdecai Trilogy. Directed by David Koepp (Secret Window), the movie stars Johnny Depp, Gwyneth Paltrow, Paul Bettany, Oliver Platt, Aubrey Plaza, Ewan McGregor, Paul Bettany and Olivia Munn. Indiewire noted that the project's source material "suggests that all involved are shooting for a franchise, if along goofy lines. A similar formula was employed for Pirates of the Caribbean series, so no one should scoff." Lionsgate releases Mortdecai February 6, 2015. 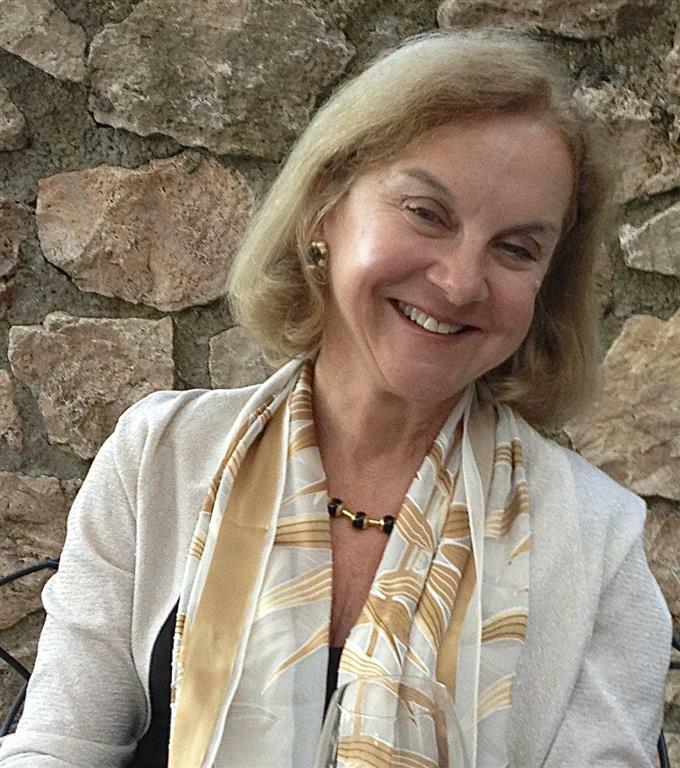 Journalist and editor Dianne Hales has written 16 books (Just Like a Woman; Think Thin, Be Thin, etc.) and 24 editions of a college health textbook. More than a decade ago, she fell so madly, gladly, giddily in love with Italian that she wrote a book about it: La Bella Lingua: My Love Affair with Italian, the World's Most Enchanting Language. In recognition of its role in promoting the language, Italy's president conferred a knighthood on Hales. Her passion for Italy's culture led to her quest to uncover the story of the real woman in Leonardo da Vinci's iconic painting, which became Mona Lisa: A Life Discovered (Simon & Schuster, August 5, 2014). Hales lives in the San Francisco Bay Area with her family. A few months ago, my editor at Simon & Schuster pressed the galley of We Are Called to Rise, Laura McBride's terrific debut novel, into my hands--and I'm so glad she did. I'm also savoring Frances Mayes's Under Magnolia, a poetic memoir about her Southern childhood. I always keep something about Italy at hand; right now it's Susan Cahill's The Smiles of Rome, an anthology of evocative pieces about the Eternal City. I like to read at least a few paragraphs in Italian every day, so I'm rereading with great pleasure Alessandra e Lucrezia by Angela Bianchini, the story of two remarkable Renaissance women, which I originally read while researching Mona Lisa. We lived just outside the city limits, so I couldn't check books out of the library. Instead, I'd spend entire afternoons reading at a little wooden table. The librarian would bring me wonderful illustrated volumes of Grimms' fairy tales, which I never tired of. My home library mainly consisted of Nancy Drew books by Carolyn Keene. I remember reading Gone with the Wind by Margaret Mitchell when I was 11 and thinking, "Wow, that's a book!" When I was a young journalist, everything Joan Didion wrote electrified me. I long considered E.L. Doctorow the best possible travel companion. Ross King's books on Italian art and architecture inspired as well as informed me. I owe my love of history to Doris Kearns Goodwin and my love of biography to Stacy Schiff. Elizabeth Gilbert's Eat, Pray, Love. I devoured the part about Italy, but at the time I was so xenophobic that I didn't keep going. You can't say, "I just read the first third...." I still have the book, however, and I intend to finish it, especially after deeply enjoying The Signature of All Things. The Inferno--Dante Alighieri's, not Dan Brown's. I resisted reading it until a professor introduced me to an Italian comic-book version. Once I could follow the Harry Potter-esque plot, I got John Ciardi's translation and lost myself in the language and imagery. Italian friends say everyone should read The Divine Comedy at least three times: once in school to learn, once as a young adult to appreciate and once in old age to understand. Anything with Italian food on it. I own at least a dozen Italian cookbooks with covers that made me drool. I've never tried a recipe from any of them. I started The Golden Notebook by Doris Lessing when I was 21 and working at my first job. I became so engrossed that I called in sick because nothing seemed more important than what I was reading. Bill Bryson's The Mother Tongue made me want to write the story of the language I loved--Italian--and that changed my professional life. It's a line from Dante: "amor, ch'a nullo amato amar perdona," which roughly translates as a love so strong that it permits "no loved one not to love." Isn't that what we all want to feel? When I was growing up in Scranton, Pa., girls became teachers or nurses (and, of course, wives and mothers). Then I met Jo March in Louisa May Alcott's Little Women andfound a kindred spirit. She made me believe that I, too, could become a writer. Ann Patchett's Bel Canto. There were passages that made my heart soar as if I were listening to an aria from La Traviata. I don't know if I could ever recapture that magical sense of transcendence. Jennifer L. Holm (Our Only May Amelia; the Babymouse series) brings to amusing light questions of immortality, family and growing up in The Fourteenth Goldfish. Ellie is 11 years old, and that means things are changing. Fast. She's just started sixth grade, her best friend seems to be moving on without her, and she still hasn't found her passion in life. One September evening, Ellie's mother brings home a teenage boy who bears a suspicious resemblance to Ellie's grandfather, Melvin. A scientist whose research focuses on immortality, Melvin has found a way to reverse the aging process using a newly discovered species of jellyfish. With no way to prove his claim, the now-youthful Melvin is forced to move in with his daughter and granddaughter. Ellie bonds with her grandfather for the first time, as he opens her up to the world around her and all the possibilities science has to offer. As Melvin explains, "Scientists fail again and again and again. Sometimes for our whole lives. But we don't give up because we want to solve the puzzle." As Ellie and Melvin grow closer, she forms a tentative friendship with Raj, who eventually agrees to help the pair in what seems like an impossible task: to sneak into Melvin's former lab and retrieve the jellyfish. Shelf Talker: Eleven-year-old Ellie finds sixth grade to be even more of an adventure than she thought possible when her scientist grandfather appears in the driveway after transforming himself into a teenager.